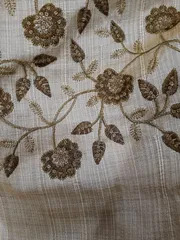 Standing with the traditions, hand in hand with the art of by-gone era, uplifting the traditional needlework we all grew up with, respecting the skill of beautification and embellishment; we here at LaceCraft bring you our next piece. 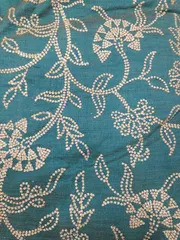 The ‘Gota-patti embroidered Buta motif and leaves embellished sleek fabric’ has been inspired by the Gota embroidery of Rajasthan mixed with the paisley motif to give an easy however an artful look into the traditional embroidery spectrum of India. 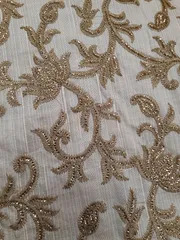 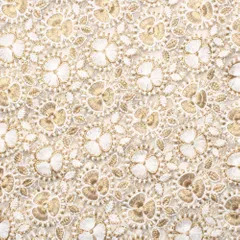 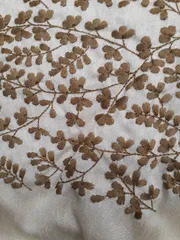 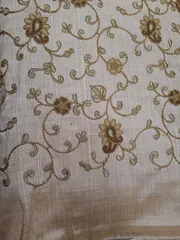 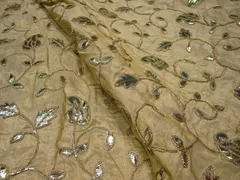 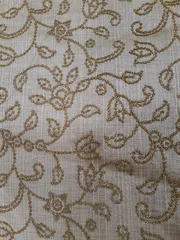 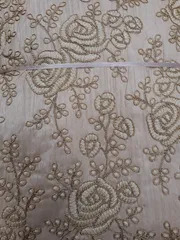 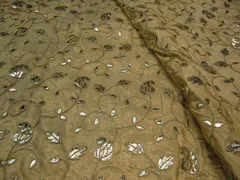 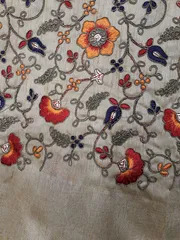 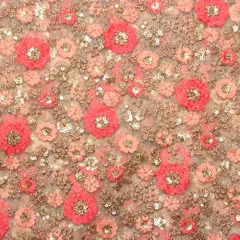 Of great quality and fashion reception, this fabric gives your outfit a look of royalty. 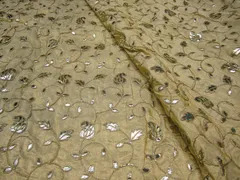 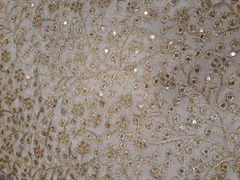 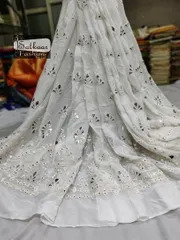 As a great option of a designer saree or made into a Ghagra-choli, turned into a split skirt and a crop top or a custom made bridal dupatta, this is a fabric that gives you great fashion goals in style. 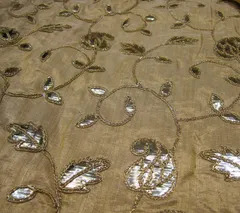 Available in other variations too.